Greetings from Scoutable and welcome to our February Wrap Up. Across Sydney, Melbourne and Brisbane, auction numbers are climbing as the market gets back into swing after the festive break. The data below shows a drop in clearance rates of 10% in Sydney, 21% in Melbourne and 8% in Brisbane, for the February year on year comparison. February saw 1,766 properties scheduled for auction across Sydney, with an average clearance rate of 58%. Melbourne saw 2,227 properties scheduled, with an average clearance rate of 51%. Brisbane saw 353 properties scheduled for auction with an average clearance rate of 40%. In comparison, February last year had an average clearance rate of 68% (3,141 properties), 72% (3,675 properties) & 48% (1,050 properties) respectively. Yesterday, I attended the Australian Property Institute’s Property Market Outlook for 2019 seminar. Besa Deda, Chief Economist of St George, provided her overview for the residential market and general economic outlook. Besa discussed the four main issues effecting the global economy, which included economic and political concerns in the USA, USA/China trade tension, Brexit and Italy falling into a recession. Nevertheless, world growth looks good. In regards to the Australian Economy, Besa mentioned the economic growth forecast has been cut by the Reserve Bank. Whilst the cash rate is on hold for now, there are scenarios for both a cash rate rise and a cash rate cut towards the end of 2019. Overall consumer spending and the property market are down but business spending is good. She believes there will be a cash rate cut in December 2019. The housing downturn has been led by Sydney and Melbourne. Sydney is down 12% since the peak 18 months ago, Melbourne is down 8% since the peak 14 months ago. Besa points out that on average there has been a 70% rise in property prices over the last five years, thus a 12% drop is not so bad. She mentioned the downturn is unique as it has not been driven by increased interest rates but more so by Government policy, foreign demand decrease, the Royal Commission, lending conditions and in some areas an oversupply of new build apartments. Should the Labor party win the upcoming election, there will be a few changes for the property market which will include a change to negative gearing. Labour proposes that negative gearing will only apply to new build properties. All existing investment properties will be grandfathered from this ruling. Overall, NSW has a good report card from Besa. NSW is the fasting growing state in Australia, supported by infrastructure, spending and population growth. As always, our advice is that property is a long-term hold. There will always be movement in the market. The key is to not over extend yourself, buy in ‘blue chip’ locations (close to transport, retail facilities, CBD, schools, universities, hospitals) and do your research. If you would like to discuss the current conditions of the market further, or are thinking of buying or investing in Australian property, get in touch to learn about Scoutable's services and how we can assist with your property search. February’s property of the month is a great little investment apartment. 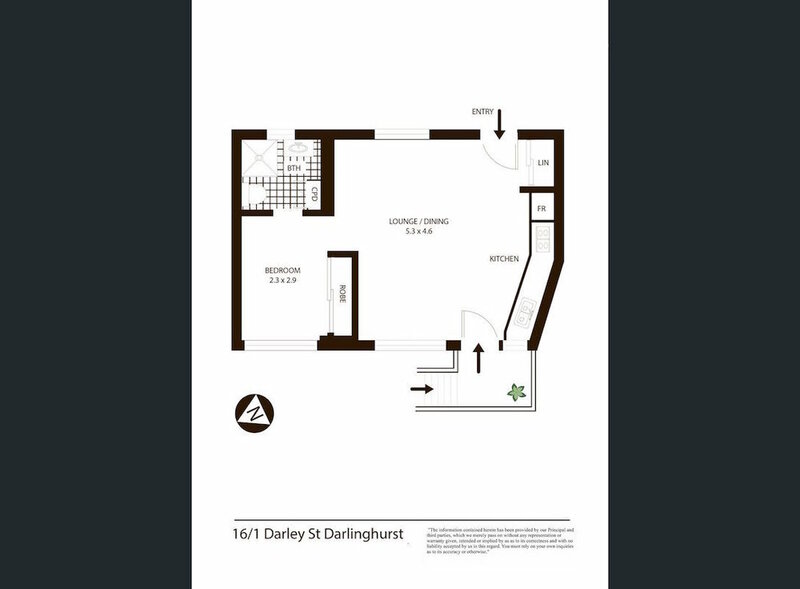 16/1 Darley Street Darlinghurst is located 1.9km from Sydney's CBD. 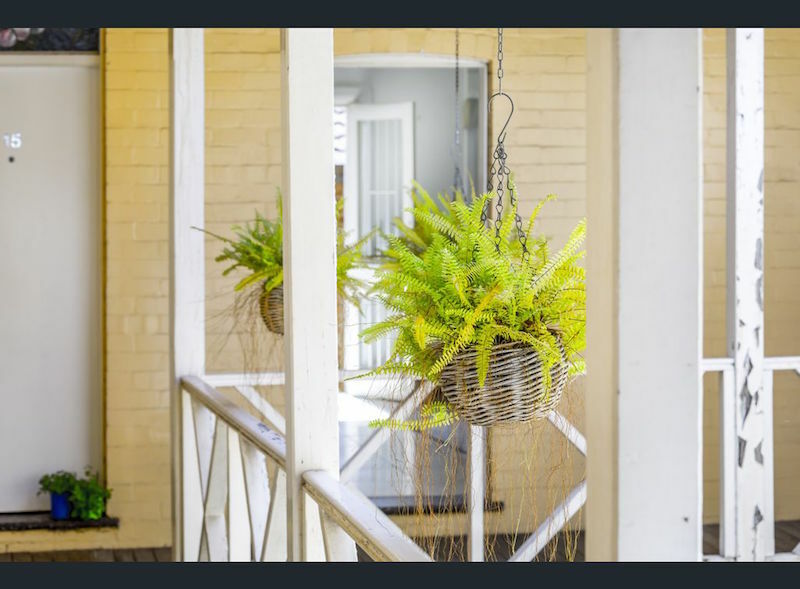 Nestled in the back of the block, the apartment is 37sqm internally, comprising open plan kitchen / living / dining, bedroom, bathroom and access to a disused fire escape providing a small alfresco stoop to enjoy your morning coffee. The price guide is $490,000 with a rental guide of $490 per week. Should these figures be achieved, the resulting gross yield would be 5.2%. The outgoings equate to $4,280 per annum, which covers strata fees, council rates and water rates, resulting in a net yield (before management fees and insurance) of 4.3%. The complex was built in the 1930s, with 20 apartments in the block. 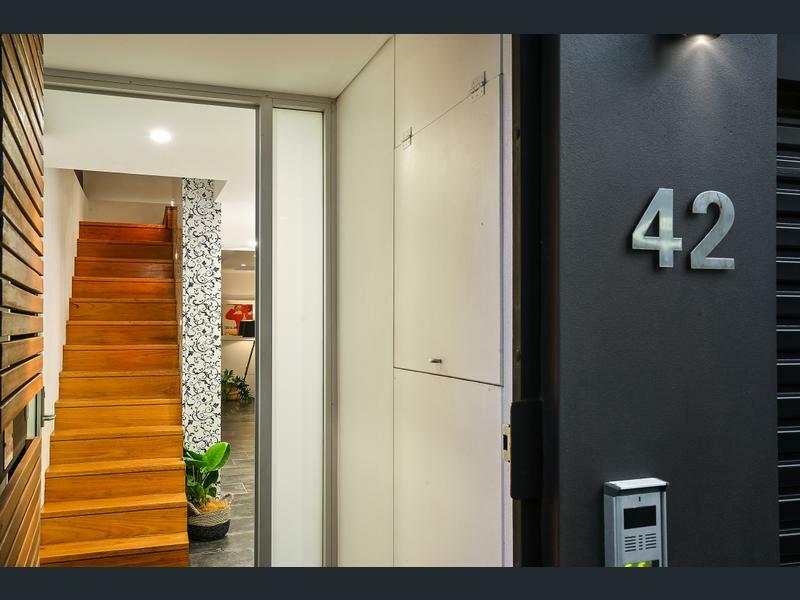 Positioned in a tree lined cul-de-sac, it's within walking distance to restaurant and retail facilities of Darlinghurst, Surry Hills, Paddington and Potts Point and well as St Vincent's Hospital, National Art School, Kings Cross Station and the CBD. 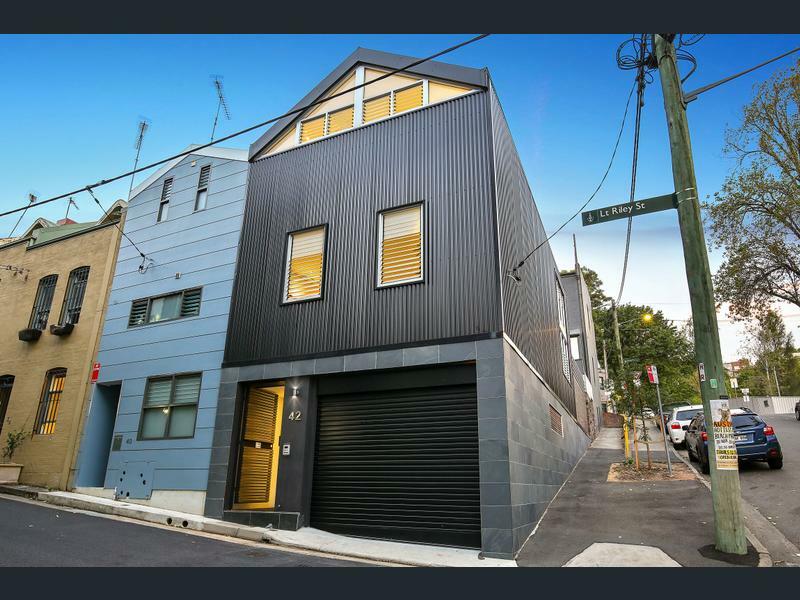 Properties like this provide a great opportunity to enter the Sydney market due to their enviable location and high rental demand ensures they are hardly ever vacant. It's important to note than some banks require a minimum internal space of 40-50sqm as part of their lending criteria so it's worth shopping around for the right loan if you're looking into purchasing a small property. If you'd like to know more about this property or any others, please get in touch. Greetings from Scoutable and welcome to our July Wrap Up. Scoutable had a mini break and spent some of July on the Amalfi Coast. Unable to completely forget about property, we saw some pretty amazing houses, not to mention some incredible views. Meanwhile back in Australia, UBS Economists are reporting a ‘correction’ in residential construction as a result of the slowdown in the apartment market but believe house prices will continue to grow, though at a slower pace. They are predicting an average capital growth down to seven percent by the end of 2017 (10% reported June 17). In 2018, their forecast is between zero and three percent. Please see article below from the Sydney Morning Herald for more information. If you're thinking of buying or investing in Australian property, get in touch to learn about Scoutable services and how we can assist with your property search. Good afternoon and welcome to Scoutable’s February wrap up. We hope you have settled well into 2017. Scoutable held its first ever roadshow to Hong Kong & Singapore in February, where we presented on the Australian property market and met potential buyers including expats and foreign investors. We learnt that the appetite for foreign investment is strong. In fact, 70% of loans drawn overseas for Australian property are for foreign investors, whilst the remaining 30% are expats from not only Australia, but also England, America and Europe. Our trip was a great success, and we're already planning our next visit in May. Please get in touch if you, or someone you know would like more information regarding investing in the Australian property market as a foreigner or expat. The official cash rate was kept on hold at 1.5%, following the Reserve Bank of Australia's first rate meeting of 2017 on the 7th February. Interestingly, some lenders are adjusting interest rates outside of the RBA movement (or lack thereof) and there are still some attractive deals out there. To ensure you get the best match for your needs and situation, we can recommend some great brokers to help you find a loan that suits you best. Are you looking to buy or invest? Call us for a chat. We love property and would love to find the perfect one for you. *Scoutable is unable to provide tax advice. For independent tax advice, please seek guidance from a tax professional. SCOUTABLE PRIDES ITSELF ON BEING INDEPENDENT, SO FEAR NOT! Down an unassuming driveway in Waterloo sits this unique warehouse inspired dwelling. 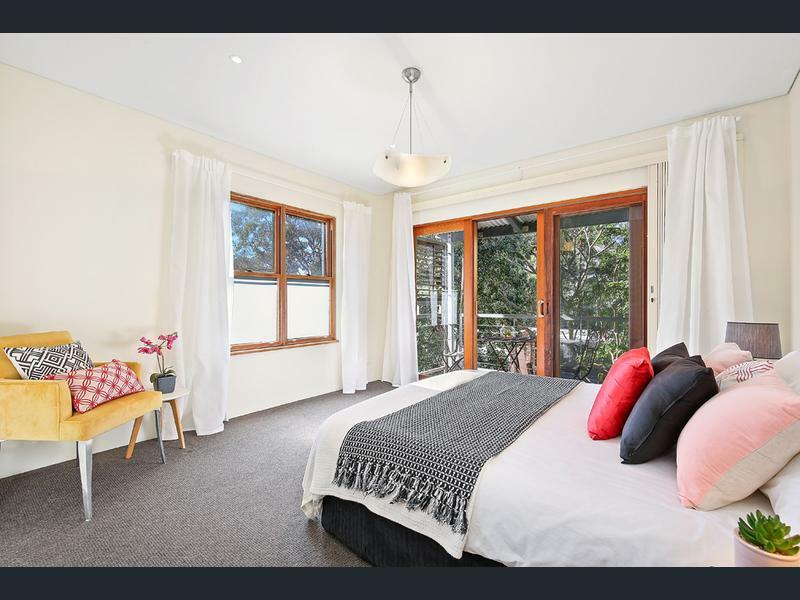 The property sits on 181sqm of land accommodating up to three bedrooms over two levels. The entry floor provides master bedroom and open plan kitchen, living, dining which opens onto a small courtyard with plunge pool. Upstairs consists of two more bedroom and optional fourth bedroom or study. The property also provides parking for two cars. The price guide is $2.4M - $2.6M with a rental guide of $1,600 per week. We love the variety of textures and features this house encompasses. From the custom copper kitchen to the freestanding solid marble bath. The exposed timber beams, concrete floors and dual sided gas fireplace. Located 4km south of the Sydney CBD, Waterloo was originally an industrial area and is historically a working class region however since the early 2000s, the area has undergone a considerable degree of gentrification. In 2006 the median individual income in Waterloo was slightly higher than the Australian average. The suburb maintains numerous public housing apartments which has been a topic of controversy with regard to their demolition and the construction of luxury apartments. Happy New Year and welcome to Scoutable’s January wrap up. We trust you all had a nice festive break and hope you're enjoying this hot Australian summer. The unofficial start to the property market is Australia Day. Having said that, we have seen strong activity in January and we are expecting this trend to continue into the first quarter of 2017. The reserve bank doesn't meet till Tuesday 7th February for its initial rate meeting for 2017 so the cash rate remains at 1.5%. In turn, interest rates are still relatively low and lenders are offering some great deals. We're seeing a lot of stock trading off market. If you, or someone you know, are in the market for a new home or investment property, engage Scoutable. We know property and we'd love to find the perfect one for you. 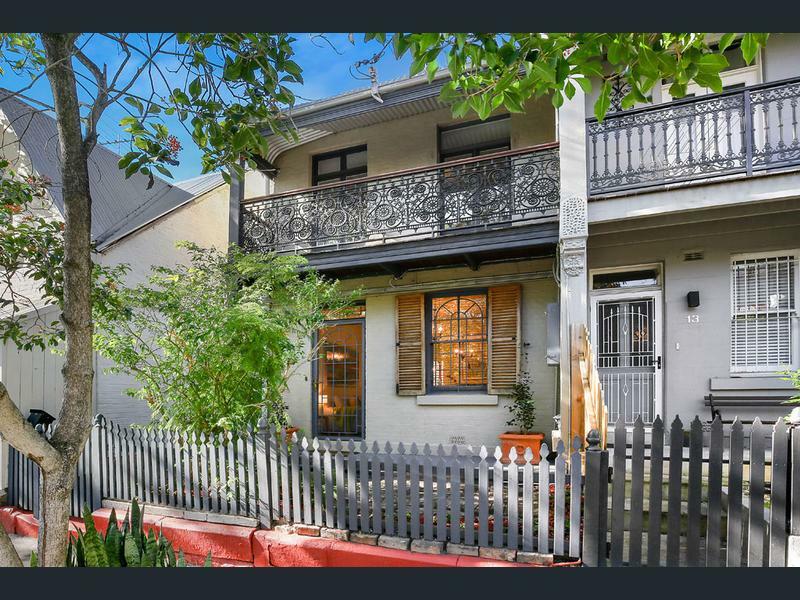 Sitting on approximately 170sqm of land, this Surry Hills corner block property is an inner city delight. 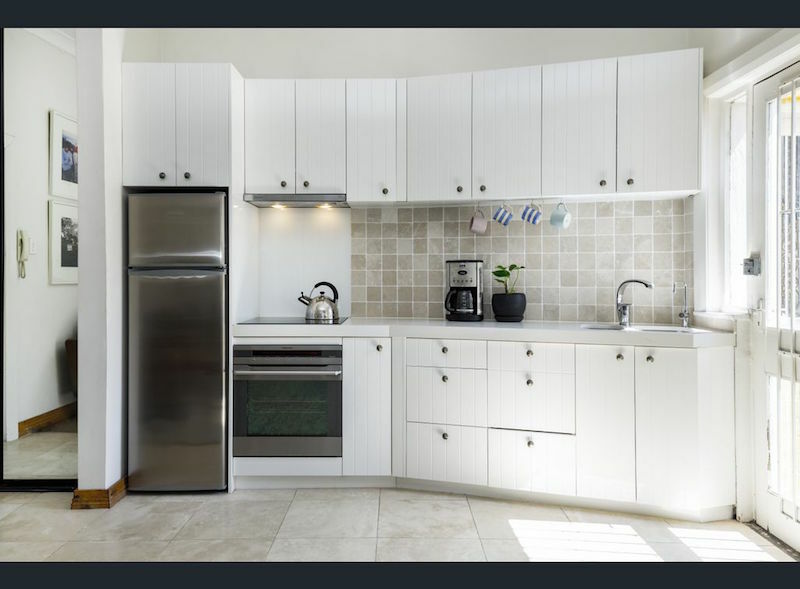 Spanning over 3 levels, the architecturally designed home boasts three bedrooms, two bathrooms and one lockup garage which is an incredible value add in this part of the city. Without compromising on privacy, louvered windows and skylights are featured throughout the house and an internal atrium running from the ground floor to the top, ensures an abundance of natural light and airflow. Contemporary finishes including bespoke timber cabinetry, slate floors, underfloor heating and a gas fire place make this space not just a beautiful build, but a beautiful home. The ground floor consists of the lock up garage with internal access, main bathroom, laundry and an oversize bedroom offering versatility as this could easily become an office without intruding on you home. The middle level is the heart of the home with seamless flow between living, kitchen, dining and fold-able glass doors leading to a private entertaining terrace. The top floor houses two large bedrooms and a sky lit, resort style bathroom, all with cathedral style ceilings. Surry Hills is a well established buzzing inner-city neighborhood with endless amounts of cafes, bars, restaurants and retail outlets. Moment to central station and an easy walk to the CBD.